Many people continue to take prescription drugs months after clinical guidelines recommend, a practice that increases the risk of side effects from individual drugs as well as from drug interactions. New research examines the issue of legacy prescribing, which is when drugs are taken for longer than needed to treat a condition. A new study, published in the Annals of Family Medicine, examined 50,000 patients in Canada who were prescribed drugs that are typically taken for more than three months but not indefinitely. The drug classes were antidepressants; proton-pump inhibitors (PPIs), which are used to treat heartburn and acid reflux; and bisphosphonates, which treat osteoporosis by stemming bone density loss. 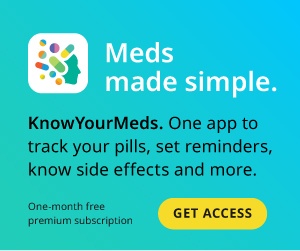 Nearly half of patients on an antidepressant – 46% – were on it for more than 15 months, even though a current recommendation states they should be prescribed it for only six months after a mood episode is resolved. PPIs shouldn’t be taken for longer than three months. However, 45% of patients were prescribed them for longer than 15 months. The recommendation for bisphosphonate prescriptions is 5.5 years, yet 14% of people on those drugs took them for at least six months longer than that. For example, long-term use of PPIs has been linked to several health issues. In one study, patients who had taken the drugs for at least five years had a higher risk of developing kidney disease than those on another type of acid-reducing medication. Another study found long-term PPI use may be associated with an increased risk for stomach cancer.